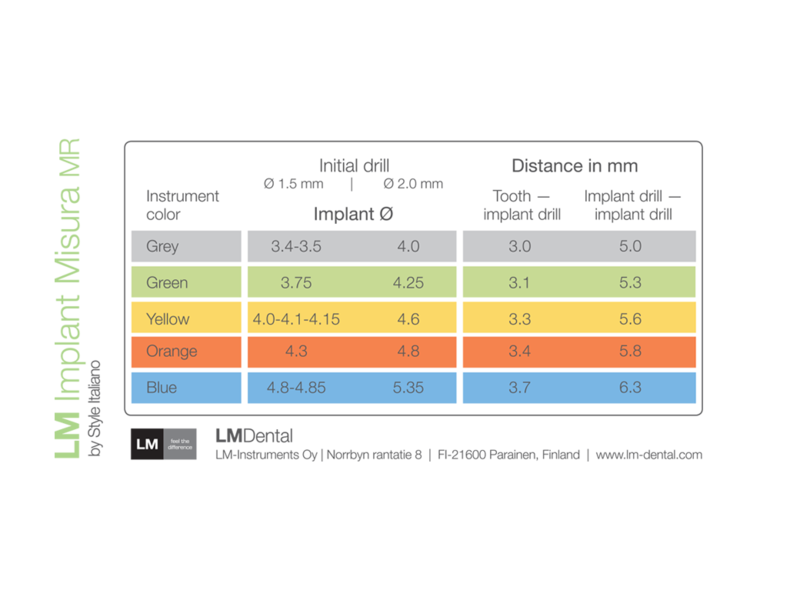 LM Implant Misura MR instruments help position the first spiral drill at a correct distance from the pillar (implant or natural element adjacent to the implant) and respecting the bone biology. Correct positioning ensures the correct amount of bone between the implant and the tooth, so that the bone crest remains stable over time. Respecting the biology of the site and spacing the case correctly results in a long-lasting, aesthetically pleasing outcome. 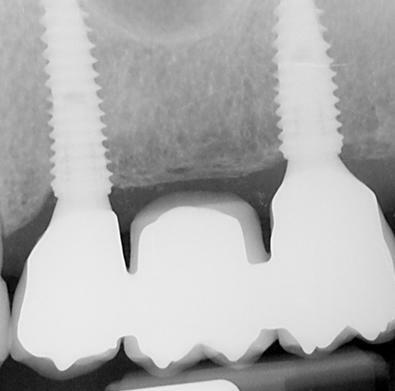 Choose the instrument appropriate to the size of the implant to be inserted. 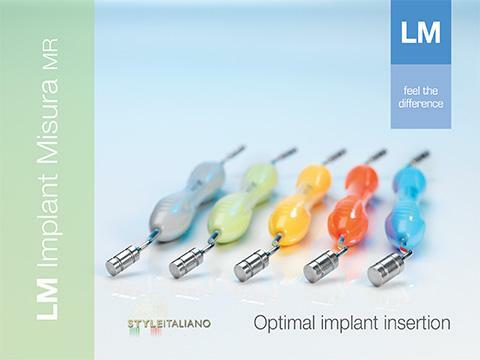 Firmly lean the cylindrical tip (avoiding any movement) against the natural element root close to the implant. Lean the instrument tip against the root and not against the crest of the proximal bone. 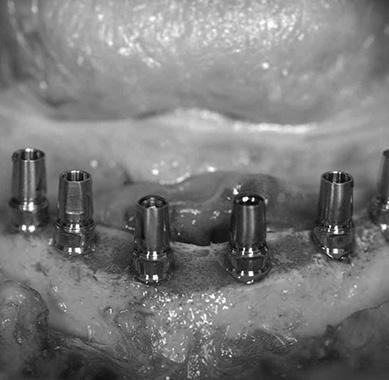 Lean the initial drill against the cylindrical tip and check both the correct bucco-lingual position and the mesio-distal inclination. An imprecise mesio-distal inclination may cause an increase or decrease of the distance between the implant and the tooth. After the first osteotomy, go on following the normal implantation protocol. 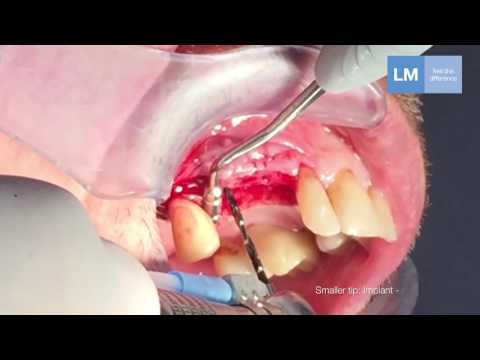 Execute the first osteotomy (generally the most distal) with the initial drill only. Insert a pin of the same diameter as the initial drill into the osteotomy. 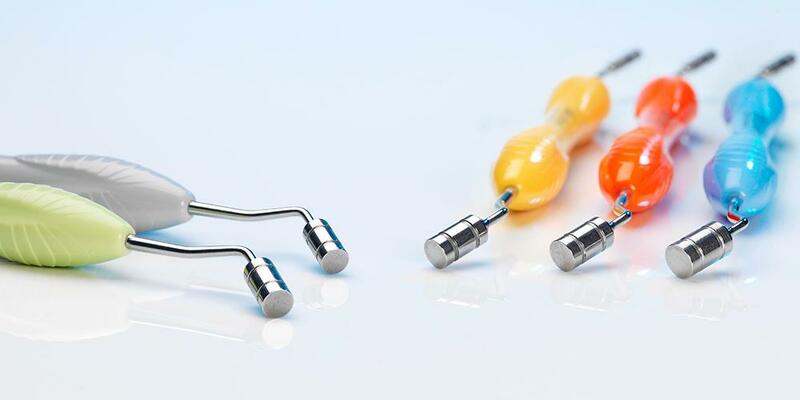 Lean the selected Implant Misura instrument against the pin, taking care not to move the pin with an excessive pressure. Execute the second osteotomy with the first initial drill. 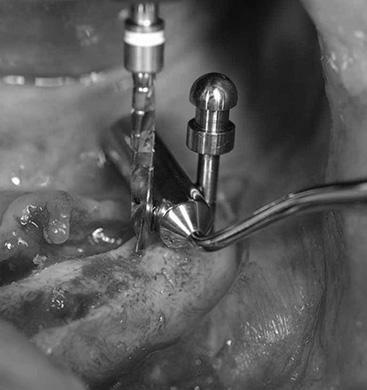 Check for correct positioning of the drill both for the bucco-lingual direction and the mesio-distal inclination. Go on following the normal implantation protocol. 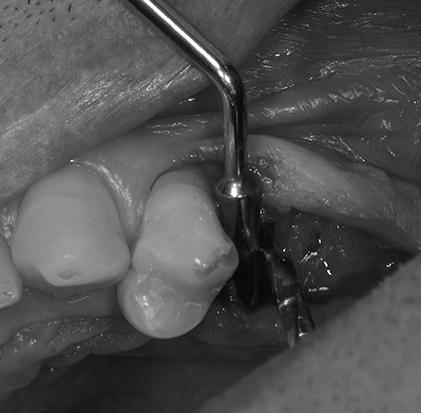 Start from the implant adjacent to the natural element. Continue as in Clinical Case 2. 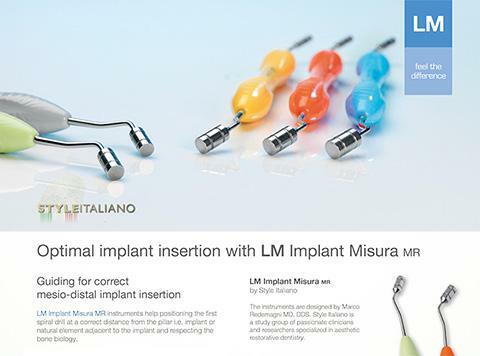 LM Implant Misura MR instruments are designed by Marco Redemagni, MD, DDS. 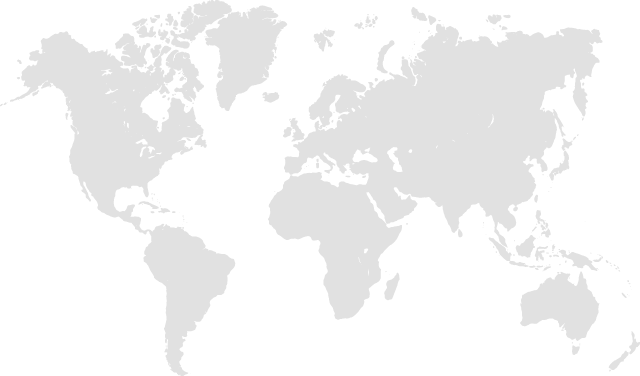 Style Italiano is a study group of passionate clinicians and researchers specializing in aesthetic restorative dentistry.